Looking down into Clinton Valley from Mackinnon Pass. Lake Mintaro centre. 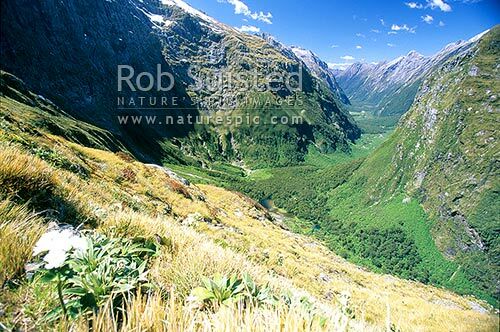 Milford Track - the 'finest walk in the world', Fiordland National Park, Southland District, Southland Region, New Zealand (NZ), stock photo.